Can You Be Both a Catholic and a Sedevacantist? A: A tiny but consistent minority of Catholics would identify themselves as sedevacantists, and it’s a phenomenon that doesn’t appear to be going away any time soon. Let’s take a look at what the term actually means, and then we’ll see how its proponents fit (or don’t) into the universal Catholic Church. The English word “sedevacantist” comes from the Latin phrase sede vacante (“the seat being vacant”), which is commonly used during those infrequent periods when there is no Pope. After a Pope dies—or as we saw rather recently, if he resigns his office—there is a brief span before a conclave starts and a new Pope is elected. During that time, nobody would disagree that the papal seat really is vacant; but once the Cardinals elect a man who accepts the office of Pope, the seat isn’t vacant any more. As we saw back in “Canon Law and the Upcoming Conclave,” canon 332.1 notes that when the Cardinals in conclave have lawfully elected a man who has been consecrated a bishop, he becomes Pope the moment he accepts the election. From that point on, the seat is filled until the new Pope either dies or resigns. Catholics ordinarily take this for granted, even if they don’t fully understand all the details. But sedevacantists are Catholics who think that there currently is no Pope, and therefore “the seat is vacant.” That obviously means that they believe Francis is not really Pope today—and in years gone by, there have been sedevacantists who insisted that Benedict XVI was not a valid Pope, while others said that Saint John Paul II was an imposter Pope, and still others have held that there has been no Pope since Pius XII died back in 1958. Other variations of sedevacantism can seem more exotic. A different group holds to this day that Pope St. John XXIII was not the Pope who was really elected in 1958. They insist that a different Cardinal was actually elected, but was then “forced to abdicate immediately” in some unspecified way by unnamed evil forces. (It is interesting that they don’t explain why the College of Cardinals permitted this to happen, and then publicly accepted John XXIII as Pope, if they all knew they’d really elected someone else.) And another sedevacantist group doesn’t seem to have a website: they held that Benedict XVI wasn’t really Pope because John Paul II didn’t actually die in 2005—rather, he went into hiding because his enemies were trying to kill him. They asserted that the body that lay in state before John Paul II’s funeral (and visibly began decomposing, as many visitors attested), was merely a decoy. Some sedevacantist groups have taken matters into their own hands, and elected a Pope themselves. In the United States, a former Capuchin priest was elected “Pope Pius XIII” in Washington State—although when he died in 2009, it does not appear that they chose a successor. Meanwhile, in Kansas a former seminarian was elected “Pope Michael” by a handful of Catholics, including his parents. By now, readers who have never heard of such things may be shaking their heads in amazement. But instead of getting caught up in the details of the individual sedevacantist arguments, it’s important to focus on the one fundamental issue that most of these groups have in common: they hold that at some point in the past century or so, the Popes in some way, for some reason, were not validly elected. And since a man who isn’t validly elected Pope can’t validly select new Bishops and Cardinals, this means that subsequent Popes were chosen by non-Cardinals, meaning that the new Popes weren’t/aren’t validly elected either. So sedevacantists are basically saying that the hierarchy of the Catholic Church has pretty much ceased to exist. What does canon law have to say about this? You won’t find the word “sedevacantist” anywhere in the Code of Canon Law. But it’s nonetheless fairly easy to apply existing law to this phenomenon, because canon law does have a term for Catholics who refuse to accept the authority of the Pope, or the Bishops whom he or his predecessors have appointed as Cardinals. Canon 751 tells us that schism is the withdrawal of submission to the Supreme Pontiff or from communion with the members of the Church subject to him. And this is where sedevacantism fits into the equation. As we saw in “What is the ‘Old Catholic Church’?” canon 205 tells us that a baptized Catholic is in full communion with the Catholic Church if he accepts the Catholic faith, Catholic sacraments, and Catholic governance—and it’s the issue of rejecting church governance that is the key problem with sedevacantism. If you don’t believe that this or that papal document was issued by a man who is/was really the Pope, then you naturally don’t intend to abide by whatever it says. A Catholic who thinks that all the Popes since St. John XXIII were invalidly elected is obviously not going to obey anything that these Popes have said. In other words, by refusing to accept the authority of the current Pope or his recent predecessors, a Catholic who’s a sedevacantist willfully puts himself into a state of schism. True, for a Catholic to incur any latae sententiae penalty, all of the conditions listed in canon 1323 must first be met. As has been said before many times in this space, a Catholic cannot be excommunicated accidentally or unknowingly—it can only happen if he commits an excommunicable offense with full knowledge and freedom. 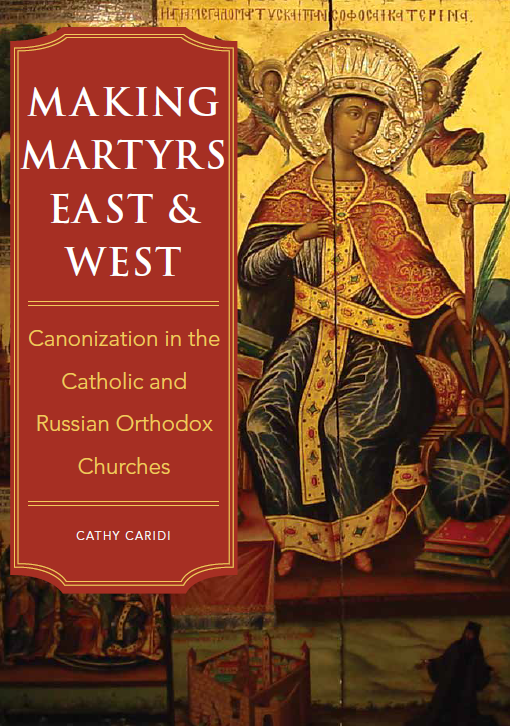 But since sedevacantists tend to cite (incorrectly) a lot of canon law in support of their positions, it seems reasonable to assume that they are aware of both the Church’s position on the crime of schism, and the penalties that may accompany it. There is nothing illogical about drawing this conclusion about sedevacantists. Think about it: how can you be in full communion with the Catholic Church, if you refuse to acknowledge the authority of the leaders of the Catholic Church? Over nearly 2000 years the Catholic Church has certainly had its share of controversial Popes—who either by their own personal conduct, or by the teachings or other positions that they promoted, caused scandal and division in their time. But history shows that sticking with the Pope, through thick and thin, is always, always the right move in the end… even if it’s fraught with confusion in the short term. For example, Pope Honorius I (who reigned 625-638) came perilously close to embracing a position on the nature of Christ that was an open question at the time, but was later deemed to be heretical. (To be fair, he never taught it authoritatively.) After his death, the issue was discussed at an Ecumenical Council, the Third Council of Constantinople, and the position which Honorius I personally favored was subsequently condemned. Imagine all the confusion that this must have caused to Catholics back in the 7th century! Yet nobody seriously questions the fact that Honorius I was “really” Pope. If you walked away from the authority of Pope Honorius I, you walked away from the Catholic Church—period. Boniface VIII reigned 1294-1303, succeeding Pope St. Celestine V who had resigned–a historical event discussed more fully in “Can a Pope Ever Resign?”–and returned to his previous monastic life. Boniface promptly had Celestine imprisoned in such harsh conditions that he eventually died (apparently the new Pope was afraid his predecessor might want his job back). He then spent years in vicious, violent feuds with (among others) the Kings of France and of Sicily, insisting that as Pope he had the right to involve himself in political policies, since they involved faith and morals. After his death, both politicians and churchmen testified at his posthumous trial for heresy, although the matter eventually ended inconclusively. Boniface, who also happened to be a canon lawyer, has gone down in history as arguably one of the worst Popes the Church ever had. The constant uproar caused throughout Europe by his policies is unimaginable today. 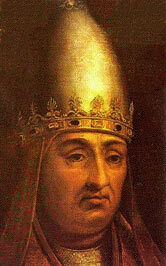 But that does not mean he wasn’t the validly elected Pope, the true head of the Church. The Spanish Pope Alexander VI ruled 1492-1503, and made no attempt to conceal the fact that he had about ten illegitimate children (to this day they have not all been identified with certainty) by several mistresses. He openly angled for lucrative, honorable positions for his children, which among other things involved naming one an Archbishop and Cardinal even though he was not even a priest! His well known daughter, Lucretia Borgia, was married off for political reasons; but when policies changed, Alexander didn’t hesitate to grant Lucretia an annulment (which to be honest, might actually have been justified) and then arrange for her to marry someone else. The blatantly immoral lifestyle of this Pope was known to everyone, and while the Catholic world was scandalized, there was never any suggestion that he was not actually the validly elected head of the Catholic Church. 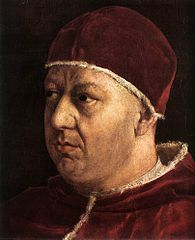 Pope Leo X was a member of the wealthy and powerful de Medici family, who had been named a Cardinal at the age of 14. Upon his election in 1513, Leo famously remarked, “God has given us the papacy, let us enjoy it!” He promptly began to spend church funds so lavishly that he soon ran out of money—and then made the infamous decision in 1516 to grant indulgences in exchange for financial donations. This provoked a strong reaction from a certain Augustinian priest up in Germany, who publicly attacked the hypocrisy of church officials who (among other things) claimed to represent Christ while living such morally dissolute lives. Ironically, Pope Leo X may have given Augustinian Father Martin Luther plenty of ammunition to criticize the way he governed the Church; but when Luther’s followers abandoned Leo X, they also abandoned the Catholic Church. As most of us know, Luther would go on to attack not merely the abuses of the clergy (which in many cases were painfully obvious, and hardly arguable! ), but also many basic elements of Catholic doctrine—and he was excommunicated for the latter, not the former. Looking back on the Reformation today, it all seems far less confusing than it was at the time, since some valid points were made on both sides, and for many years the average Catholic had no idea what was really going on and which side’s arguments were right. But one thing is abundantly clear today: the sinful, scandalous Pope Leo X didn’t leave the Catholic Church. Luther and his fans did. This is certainly not an exhaustive list of periods of difficulty in the Church. It doesn’t even take account of the multiple instances when the Church leadership was contested between two or even three men who all claimed to be Pope, causing complete chaos! These include the nearly 40-year-long Western Schism, which began when Catherine of Siena convinced Pope Gregory XI to return to live in Rome, instead of in the French city of Avignon. The French Cardinals reacted by electing a French Pope of their own—which led many reasonable people to conclude that Catherine of Siena was responsible for this crisis in the Church, and that Gregory XI was at fault for leaving Avignon and provoking all this predictable confusion. 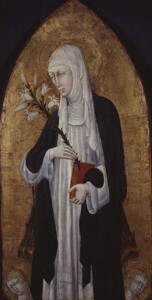 Nowadays, of course, Catherine is both a Saint and a Doctor of the Church, and it is universally taken for granted that the Pope should live in Rome, not in France; but realize that in the late 14th and early 15th centuries this was anything but clear! Of course it would be possible to provide many more examples, but by now the point should be obvious. The Catholic Church has gone through one rocky period after another, but it has never meant that the Pope should be disregarded as the true head of the Church. When people take it upon themselves to decide that the Pope isn’t really the Pope because he took a sketchy theological position, or because his personal morals were scandalous, or because it looks like his election wasn’t done quite right… they’re playing with fire. Often it can take many years, even centuries, before the dust settles, and the real issues that were at play in a given crisis can be seen and properly assessed. But the one thing that always holds true for Catholics throughout history is Christ’s statement in Matt. 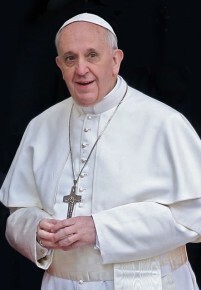 16:18: “On this rock [Peter] I will build My Church, and the gates of hell shall not prevail against it.” No merely human institution, like the Red Cross or the Xerox Corporation, could ever survive the external attacks, infighting, scandals and ideological debates that the Catholic Church has endured, and will presumably continue to endure until the end of time. Those Catholics who grit their teeth and stick with the Pope—regardless of whether he’s likeable, or intelligent, or even a morally good person—are invariably shown to have chosen the correct side. The Church is not mine, it is not ours, but it is His…. and it is He Who guides it, certainly also through those whom He has chosen, because so He has willed it. It is the fact that the Catholic Church continues to exist, despite its imperfect human leaders, that (if anything) should strengthen the faith of Catholics—since it is evident that countless sinful and otherwise flawed clergy over the past 20 centuries have failed to destroy it. To sum up: Sarah is on the right track about sedevacantism, but it’s more accurate to say that it is a schismatic movement rather than a heretical one. As sedevacantist Catholics refuse to acknowledge the authority of the Holy Father(s), deciding for themselves that he/they are not really Pope(s), they are deliberately taking themselves out of full communion with the Church. It’s a dangerous thing to do, so let’s pray that despite the undeniable human imperfections of the current and previous Popes, Catholics will realize the need to remain within the Church, and let God sort everything out. This entry was posted in Crimes and Sanctions, The Pope and tagged canon law, Catholic, Pope, schism, sedevacantist. Bookmark the permalink.